These large antique Chinese ivory vases and stands exhibit a masterful level of detailing and showcase the skilled craftsmanship of the artist. 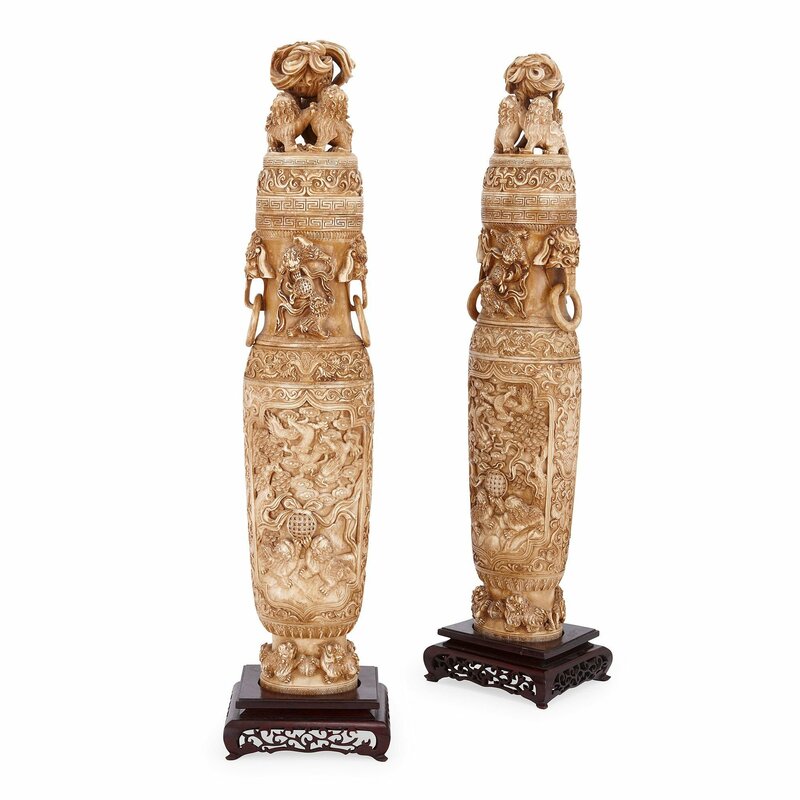 The pair of vases are carved from ivory, and are similarly decorated. Each vase is set on a square wooden plinth with pierced, foliate decorations to the edges. The vases feature narrowed bases, elongated ovoid bodies, and waisted sections toward the top of the body. 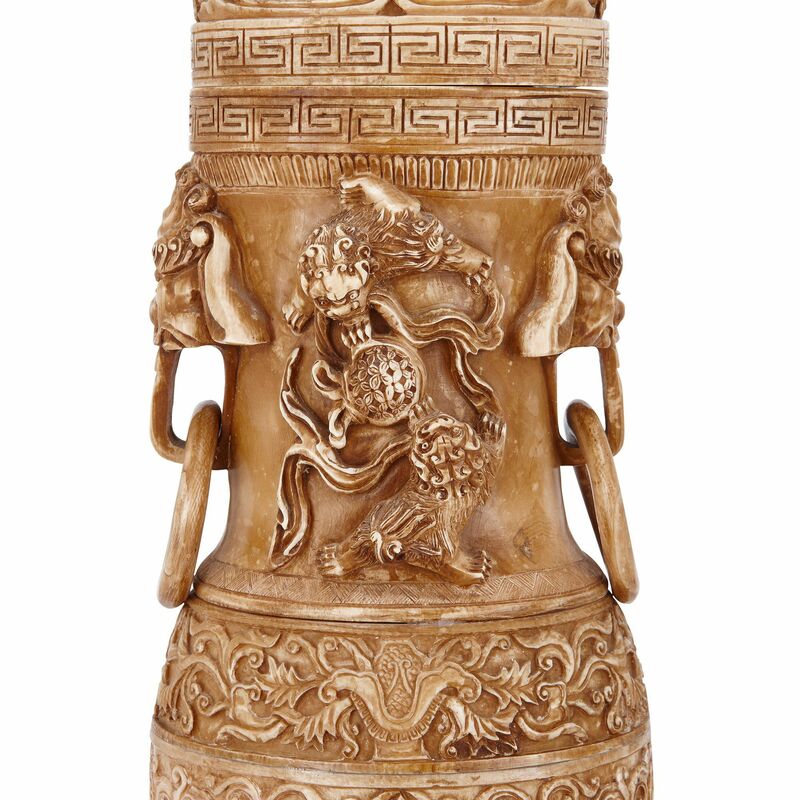 The bases are carved with small, mythical beasts and bands of geometric patterns. 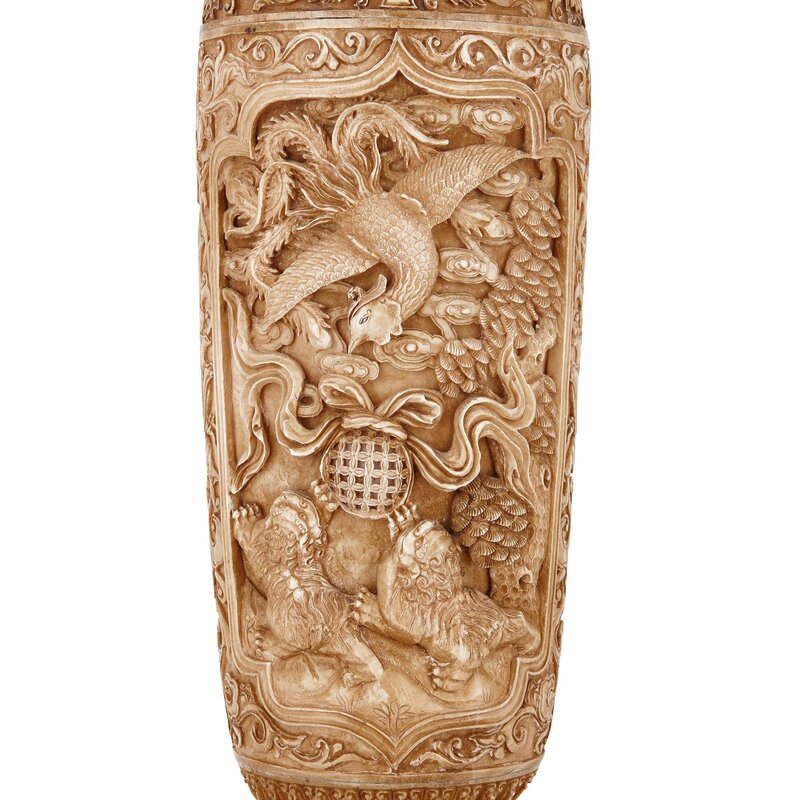 The lower sections of the bodies of each of the vases are carved with panels depicting mythical beasts amidst landscapes, surrounded by scrolling foliage. 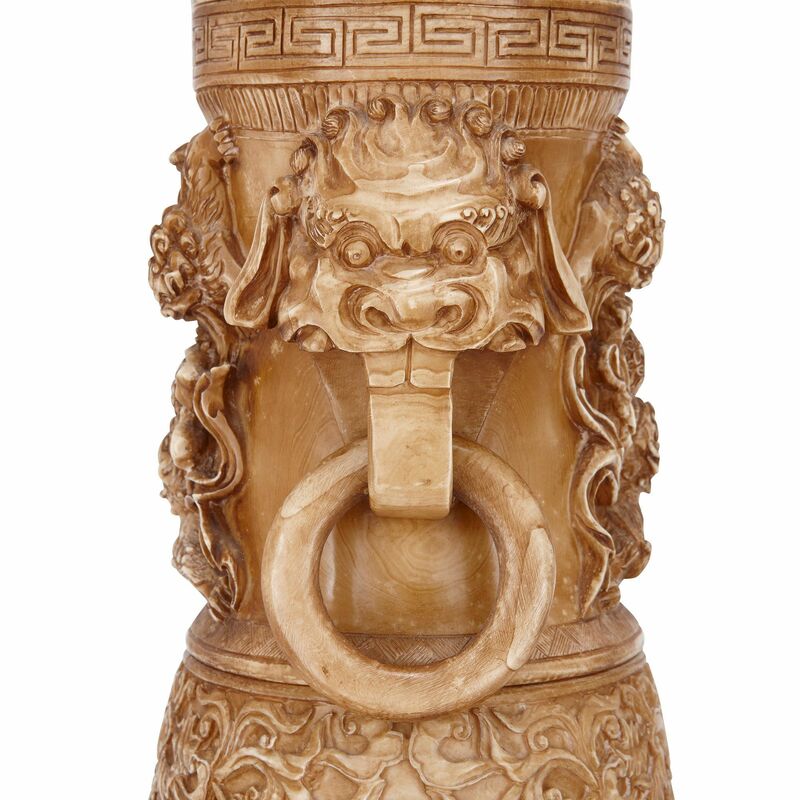 Above the landscape scenes, the vases narrow, and each feature twin gargoyle mask handles with mythical beasts. 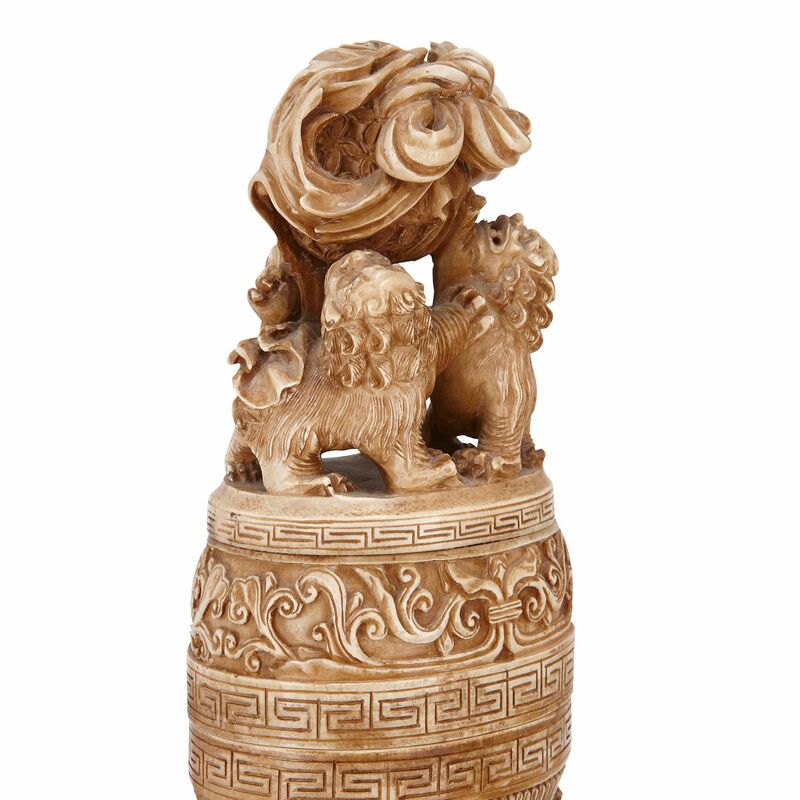 The tops of the vases are decorated with geometric patterns, which extend onto the surmounting covers, which are topped with Chinese guardian lions. 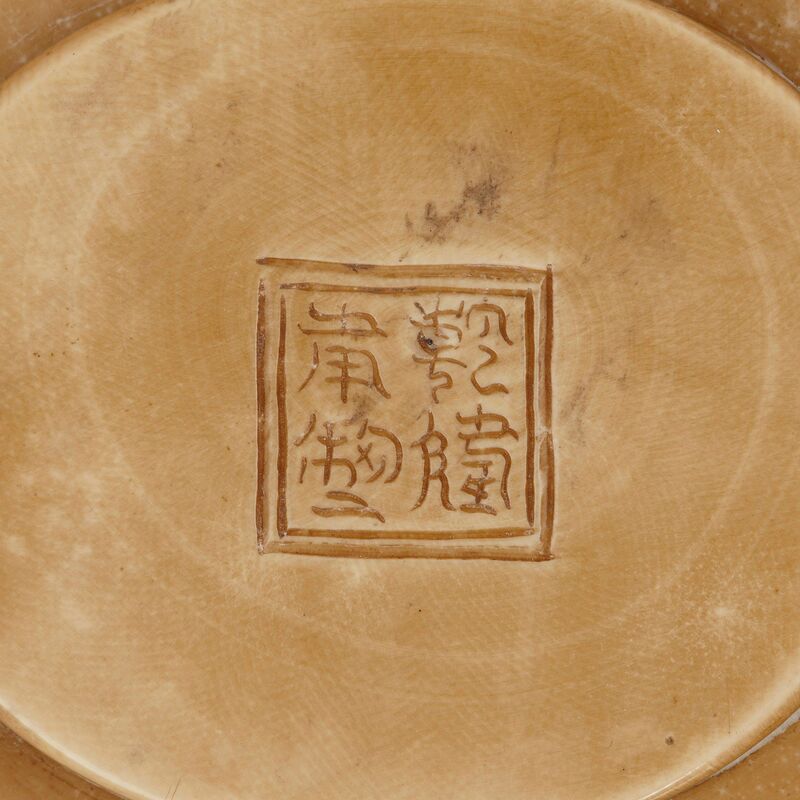 Each vase is signed in Chinese characters to the underside.